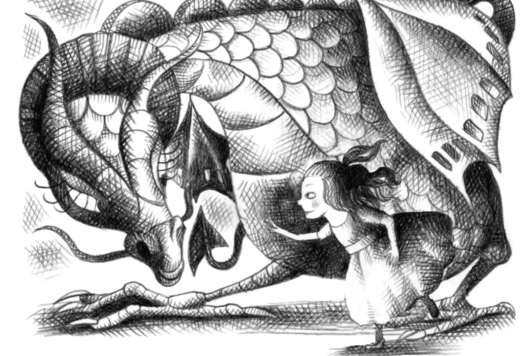 The Fairyland series by Catherynne M. Valente is a collection of five books, plus a prequel. For me, the whimsical imagery and narrative of the stories created a delightful adventure and was one of the most enjoyable reading experiences I have had. Valente’s writing style in these stories is amazing. While I have no plans to ever try duplicating the style, I wish I had the skill and talent to do so. I am inspired to use what skill and talent I do have to create my own wondrous worlds even if they are not as magical as Valente’s. Those of you who are just like me* will also enjoy these stories. This is A-Through-L. He is a "Wyverary." His mother was a wyvern and his father was a library. A-Through-L may not be a Dragon, but I love him just the same.